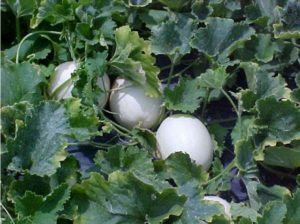 One organic farmer implemented three new production techniques and tested three new specialty crops. Fifteen workday participants increased their knowledge of organic agriculture. 85 CSA customers received new melons in their bags. One of the biggest challenges in an organic production system is weed control. Weeds reduce yields by competing with desirable plants for water and nutrients. They can also harbor insects, serve as alternate hosts for diseases, and interfere with harvests. Because organic farmers are not allowed to use herbicides, they must find other, efficient ways to control weeds. The farm cooperator selected a half-acre site on which two types of rye, abruzzi and a variety not stated (VNS), were planted in the fall as cover crops. There were three treatments. No-till rye, rye and plastic, and fabric and plastic. Each treatment included the following crops: Bell Pepper, tomato, jalapeno peppers, green chili, and sprite melon. 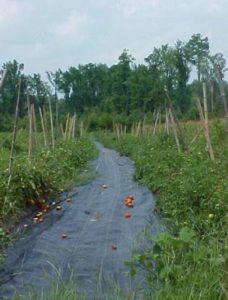 All cultivars were transplanted in the spring. The cooperator monitored crops weekly. Marketable yield data was collected and analyzed. The rye treatment was not effective in year one. Weeds outgrew the transplants, resulting in a 2 percent survival rate of transplants. 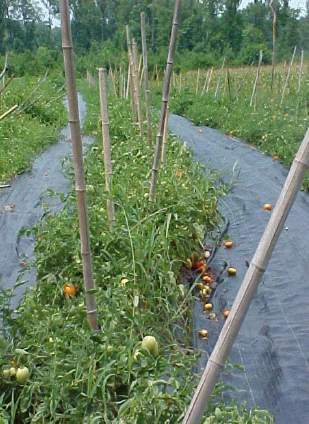 The rye and plastic treatment was good, but tomatoes that came in contact with the rye rotted, leaving a mess. The plastic and groundcover treatment was best; marketable yields were highest of all three treatments, and it was all together easier to manage. No-till rye transplant production may be an option if rye is used as a cover crop for four years or more. Rye centers and plastic rows is a good weed control option if the farmer can keep fruit off of the rye before rotting. 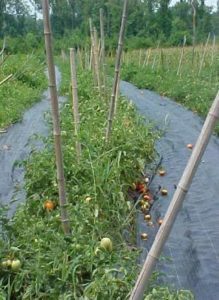 Plastic and groundcover fabric provides good marketable yields. Groundcover can be reused for up to five years, but plastic is generally good for one year. Lay-flat pipe can be re-used, but drip tape is generally only good for one growing season. Weeds sprout through planting holes, so hand-weeding replaces cultivation. Waste is a major issue. • English Ivy- Friend or Foe?